BUTUAN CITY, Aug. 16 (PIA) – A police officer of Cabadbaran City Police Station is one of the Country’s Outstanding Police officers in Service (COPS) this year. Senior Police Officer 2 (SPO2) Jeffrey Bayotlang Ojao of Cabadbaran Police Station 5 in Cabadbaran City, Agusan del Norte is one of the six Non Commissioned Officers and now joins the rank of 128 Outstanding Police Officers who have been honored by the Metrobank Foundation, Inc. since 2002. The 2016 COPS awardees composed of four Police Commissioned Officers and six Non Commissioned Officers. The 10 will be conferred with gold medallions, trophies, and cash price amounting to P50,000 each. Among the Police Commissioned Officers awardees are: Police Chief Inspector Ryan Lopez Manongdo of Pozorrubio Municipal Police Station (Pozorrubio, Pangasinan); Police Superintendent Jemuel Felongco Siason of Sultan Kudarat Police Provincial Office (Tacurong City, Sultan Kudarat); Police Senior Superintendent Susan Rabano Jalla of PNP Crime Laboratory (Camp Crame, Quezon City); and Police Superintendent Mario Navarro Rariza, Jr. of Police Community Relations Group (Camp Crame, Quezon City). The other Non Commissioned Officers awardees are Police Officer 2 Fatima Peñones Ibias-Lanuza of Minalabac Municipal Police Station (Minalabac, Camarines Sur); Police Officer 3 Nida Lachica Gregas of Aklan Provincial Police Office (Numancia, Aklan); Senior Police Officer 1 Mhay Mayuyo Rubio of Bataan Police Provincial Office (Balanga City, Bataan); Senior Police Officer 3 Hamidhan Bibio Tebbeng of PNP Anti-Kidnapping Group Mindanao Field Unit (Camp Gen Eduardo Batalla, Zamboanga City); and Senior Police Officer 3 Ezrael Domingo Lantingan of Alabel Municipal Station (Alabel, Saranggani Province). TANDAG CITY, Surigao del Sur, Aug. 16 (PIA) – The Department of Labor and Employment (DOLE) Surigao del Sur provincial office is set to hold an orientation to some 100 business establishment owners/managers/human resource managers of this province on Thursday, August 18 at Shacene Royal Hotel, this city. In compliance with the Labor Advisory No. 10. Series of 2016, reiterating the prohibitions of the Labor Code of the Philippines against Labor-Only contracting issued by DOLE Secretary Silvestre H. Bello, III, the participants are required to bring the following during the forum: Profile of workers indicating status of employment i.e. regular, probationary, contractual, fixed-term, project and other arrangements; and length of service; Latest payroll of the workers; Number of contractors/sub-contractors with copies of service agreements; List and names of tenants in your establishment, if applicable; Company’s Organizational Chart; Other employment records/documents as necessarily applicable; and Accomplished Employment Profile. DOLE Caraga regional director Atty Evelyn Ramos is also expected to grace the said activity. SURIGAO CITY, Surigao del Norte, Aug. 16 (PIA) – “It’s all systems go,” bared Concepcion Pacqueo, president of Surigao Chamber of Commerce and Industry (SCCI) and conference director of this year’s Mindanao Business Conference (MinBizCon). The said event is the biggest annual gathering of business leaders, policymakers, exporters, traders, and exhibitors in the island-region. Paqueo said around 500 individuals have already confirmed their participation and they are still counting up to 800 participants from different regions in Mindanao and some in Luzon, Visayas and even foreign businessmen. The three-day event will be full of learning sessions especially on new business trends, business opportunities and linkages. Other side events are also lined up for participants to enjoy and that include a worthwhile partnership made with the Surigao City Tourism Office and Surigao Travel and Tour Operators Association. The said event is running on its 25th year, hosted by different business chamber in Mindanao and this year’s host the SCCI is hopeful that this will be another milestone for the province in terms of economic progress. Residents of Barangay Tudela, Trento, Agusan del Sur hope and seek to improve their community’s health with the construction of their barangay health station sub-project now underway. The said sub-project amounting to P1, 340,814 is funded through the Kapit-Bisig Laban sa Kahirapan-Comprehensive and Integrated Delivery of Social Services (Kalahi-CIDSS) program. Although the community has an existing health center, it was inadequate for residents in the area. Pregnant women during prenatal check-ups had to wait or line up for several hours before they are received because the old health center was too small to accommodate them. Getting their children immunized was also difficult especially during harsh weather since the roof of the center was already in bad condition. Some residents even had to travel and go to health centers of neighboring barangays for prenatal and immunization. This situation made the community decide to propose this sub-project. AGUSAN DEL SUR, Aug. 16 (PIA) - The Department of Social Welfare and Development (DSWD)-Caraga provided augmentation support on August 15, 2016 to the 56 displaced lumad families in the municipality of Talacogon, province of Agusan del Sur. The agency augmented a total of 112 family food packs amounting to P45,955.84. Each food pack contains six kilos of rice, eight tins of canned goods, and six sachets of 3-in-1 coffee. Prior to the augmentation support, the local government unit of Talacogon has already provided them 112 food packs amounting to P31,360 and containing five kilos of rice, six corned beef, and six sachets of coffee. As reported, these 56 lumads are from Purok 8, Barangay Zillovia in the said municipality. According to reports, they evacuated from their homes on August 4, 2016 at 1:00 p.m. due to the presence of military, the 26th Infantry Battalion, 4th Infantry Division who conducted Community-Based Management Information System (CBMIS) survey, interview and consultation to the residents for the proposed road infrastructure and water system project in the area. As per information from Richard Coguit, Brgy Chairman of Brgy. Zillovia thru Michael Sabacajan, Municipal Disaster Risk Reduction and Response Management Officer, other evacuees claimed that they are afraid because the New People's Army (NPA) allegedly told them to evacuate the area because the military will kill them. As of date, they are temporarily sheltering at Brgy. Zillovia gymnasium. DSWD-Caraga regional director Minda Brigoli assured that the agency’s field staff composed of Social Welfare and Development (SWAD) team and Municipal Action Team (MAT) are closely monitoring and continuously coordinating with the Municipal Social Welfare and Development Office of Talacogon for any development on the welfare of the said lumad families. “Dili lalim ang magpuyo sa evacuation center, lahi ra sa comfort nga mahatag kung magpuyo sa kaugalingong panimalay (It’s not easy to stay in the evacuation center and the comfort is far different when you are in your own house),” said Brigoli. BUTUAN CITY, Aug. 16 (PIA) - As the "Buwan ng Wika" kicks off this August, the Agusan National High School (ANHS) here has lined up month-long activities for its students. With a theme “Filipino: Wika ng Karunungan,” the said celebration - also called National Language Month - aims to increase awareness of the different languages found in the country. This annual event is pursuant to Proclamation 1041 which was signed by former President Fidel V. Ramos in 1997. From August 5 to 26 this year, students will participate in various individual and group competitions on literary, speech, music, dance, artworks, traditional games, beauty and intellect. On the first week will be the slogan-making, poster-making, and essay writing contests. On the second week, there will be a quiz bee and by-level competitions on broadcasting and speech writing. On the third week, students will compete on language translation and performing arts. A search for the Lakan and Lakambini 2016 will also take place on that week. On the fourth week, the campus will be filled with Filipino music and dance like the chorale contest, pinoy jingle contest, and sayawit contest. BUTUAN CITY, Aug. 16 (PIA) – Philippine National Police (PNP) chief Ronald Dela Rosa during his visit to the city on Monday urged the police force in Caraga to keep the momentum in suppressing the drug problem. With the theme: "Hamon ng Pagbabago, Pinag-ibayong Serbisyo," the celebration of the 115th Police Service Anniversary of Police Regional Office (PRO) 13 was filled with laughter as the PNP chief shared his experiences while delivering his message. PNP chief Dela Rosa is optimistic that the drug menace would be greatly reduced in six months. The PNP chief also commended the PRO 13 headed by Chief Supt Rolando Felix for its substantial gains in the implementation of Project Double Barrel. “Pagpasok ko pa lang ng PRO 13, nakita ko na ang scoreboard sa accomplishment sa Project Double Barrel which is a best practice (when I entered PRO 13, I immediately saw the scorecard of accomplishments on Project Double Barrel which is a best practice),” he said and stressed that this should be done also in other police regional offices. On the other hand, the nation’s top cop also emphasized that the PNP is waging war against its members who have been involved into illegal drug trade. He added that the police should cleanse their ranks to become effective in the campaign against illegal drugs. BUTUAN CITY, Aug. 16 (PIA) – The Commission on Population (POPCOM) Caraga in partnership with the Department of Health (DOH) highlights the importance of responsible parenthood this August in celebration of the Family Planning Month, as one of the keys to sustainable development. With the statement of President Rodrigo Roa Duterte during his first State of the Nation Address (SONA) that the implementation of the Responsible Parenthood and Reproductive Health (RPRH) Law must be put into full force and effect, POPCOM and DOH are continuously intensifying the conduct of its various program interventions. Both government offices are directed to reduce unmet need on FP, within the next 200 days of the administration of President Duterte through the provision of FP services upon the demand of the couples. POPCOM Caraga regional director Alexander A. Makinano emphasized the importance of a well-planned family. He further reiterated that the Commission, through its Responsible Parenthood and Family Planning (RPFP) Program, motivates couples to plan their family size according to their capacity to provide for the basic as well as other welfare needs of the family members, especially the children, in order to have a happy and healthy life. In a related development, POPCOM Caraga is conducting series of KATROPA Training of Trainers (ToT), KATROPA roll-out sessions among men and husbands all throughout the region. Another initiative to be conducted in line with the FP month celebration is the Teen Buntis Congress to be held in Surigao City and to be attended by the pregnant teens from the city of Surigao and the provinces of Surigao del Norte and Dinagat Islands. BUTUAN CITY, Aug. 16 (PIA) - The Alternative Learning System (ALS) of Southwest Butuan District hosted the BARANGAYAN 2016 with the theme “Edukasyon Ipadayon, Kinabuhi Palambuon Alternative Learning System Ang Solusyon." The event was attended by principals, teaching force of seven schools, baranggay officials and parents and the ALS teachers and staffs at Barangay Maon Covered Court, this city. Barangayan is an annual activity of the ALS of the Department of Education (DepEd) that aims to build camaraderie and unity among stakeholders both the school and community or barangays within the district to promote and earn support for the ALS Learners as well the program itself which served to cater learners who our out of school. BUTUAN CITY, Agosto 16 (PIA) - Paiimbestigahan umano ni Philippine National Police (PNP) director-general Ronald “Bato” Dela Rosa ang mga opisyal na sangkot umano sa illegal drug trade dito sa lungsod. Sa kanyang pagbisita dito sa Camp Rafael Rodriguez, Butuan City, pinangalanan ni Franklin Caliguid, isang correspondent ng Philippine Daily Inquirer sa harap mismo ni PNP chief Dela Rosa ang mga sangkot na opisyal. Ito ay sina Police Chief Inspector Christian Rafols ng Ambago Police Station, Police Superintendent Rowena Martinez, at Police Senior Superintendent Francisco Dungo, dating hepe ng Butuan City Police Office. 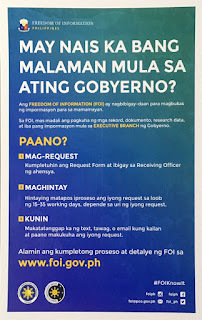 Ayon kay Caliguid, bago pa namatay si PO3 Rex Ofianga kamakailan ay naibahagi na nito sa kanya ang mga hinanaing, maging ang mga pangalan ng mga opisyal na sangkot sa ilegal na druga. Matatandaan na pangatlong pulis na si PO3 Rex Ofianga sa Butuan City na napatay sa isang buy-bust operation dahil umano ay nanlaban. Kabilang na dito sina PO3 Harvey Forsuelo at SPO2 Roldan Damayo. Ipinahayag naman ni Police Chief Superintendent Rolando Felix, ang regional director ng PNP Caraga, na agad niyang papa-imbestigahan ang pagkakadawit ng mga pangalan ng nasabing opisyal. Nananawagan rin si director general Dela Rosa sa mga miyembro ng media na maging mapagmasid at tumulong sa pagrereport sa kanilang hanay kung sinu-sinong mga opisyal ng pulis ang alam nilang may sangkot sa ilegal na druga sa Caraga region. BUTUAN CITY, Agosto 16 (PIA) - Bilang pagtupad sa kautusan ng administrasyong Duterte na paigtingin ang pakikipaglaban kontra kriminalidad at ilegal na droga, inihayag ng Butuan City Police Station o BCPO sa isinagawang media forum kamakailan lang na base sa tala tungkol sa implementasyon ng Oplan “Tokhang,” simula Hulyo 1 hanggang Agosto 10 nitong taon lamang ay umabot na ng 5,369 drug users at 77 drug pushers ang boluntaryong sumuko sa kapulisan at nakadalaw din sila sa mahigit 1,200 na tahanan. Ito ang ibinunyag ni PSupt Excelso Lazaga Jr, deputy city director for operations ng BCPO. Dagdag pa niya na ayon sa kanilang opisyal na talaan ng anti-illegal drug operations, mula noong Hulyo 1 Hanggang Agosto 10 nitong taon nakapag-aresto anya ito ng 34 na pushers at users, at nakapagkumpiska ng marijuana at shabu na umabot sa halagang P364,876.06 alinsunod sa Dangerous Drugs Board value. Ayon pa kay PSupt Lazaga, isa sa mga arestadong pusher ay ang top most wanted drug personality ng Butuan City Police Station-4. Samantala, nang matanong sa naturang media forum kung may drug lord na nag-ooperate sa lungsod ng Butuan, mariing sinabi ni BCPO acting city director PSSupt Percival Augustus Placer na walang high-valued target sa nasabing lungsod. Hinimok din niya ang mga personahe sa media sector na makilahok at tumulong sa pagbunyag ng alinmang drug dealings na gawain sa komunidad nito. Mariin ding sinabi ni Lazaga na malaki ang agwat ng pagbaba ng theft incidence kung saan may 85 na insidente sa buwan ng hulyo noong nakaraang taon kumpara sa walo lamang ng hulyo nitong taon. Anya, maraming drug users ang nasasangkot sa kriminal na gawain gaya ng pagnanakaw para lamang masustentuhan ang nasabing bisyo.